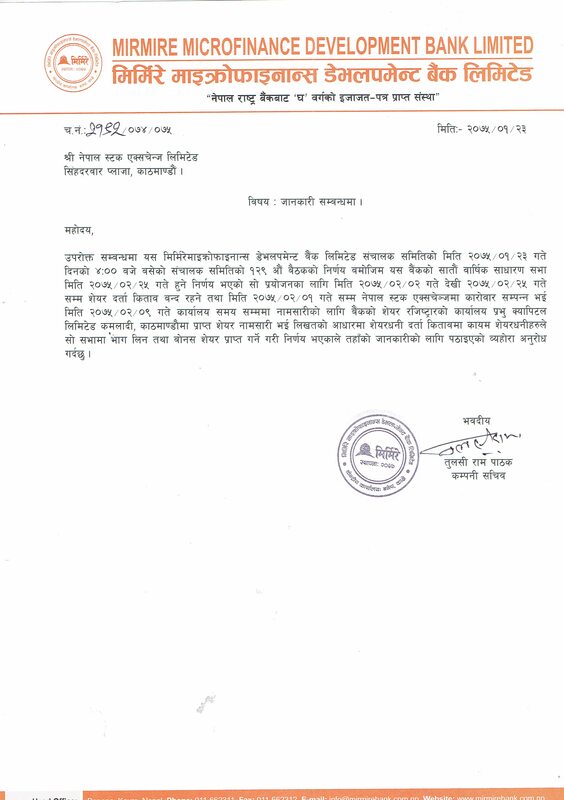 Information About Book Closure of Right Share. Bonus share & cash dividend. 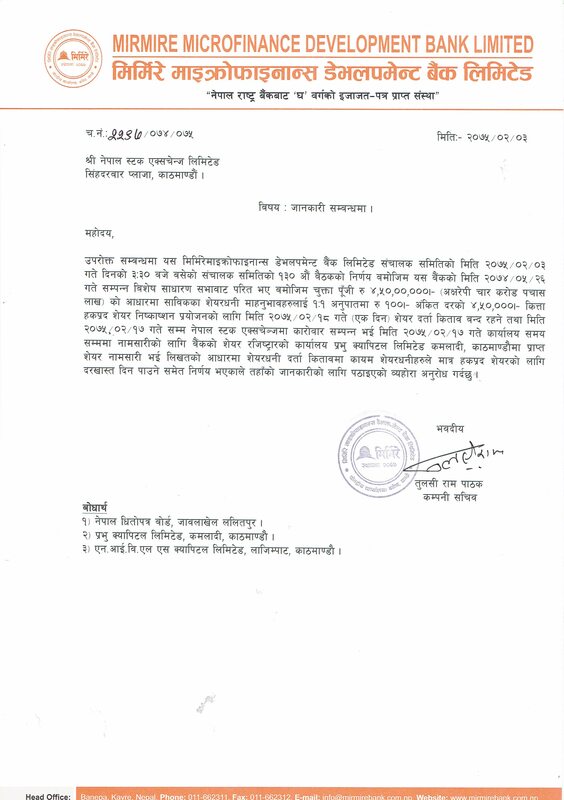 Book Closure and agm notice of Mirmire Laghubitta Bittiya Sanstha Ltd.
We have send the letter about the new appoinment of CEO of Mirmire Laghubitta Bittiya Sanstha. 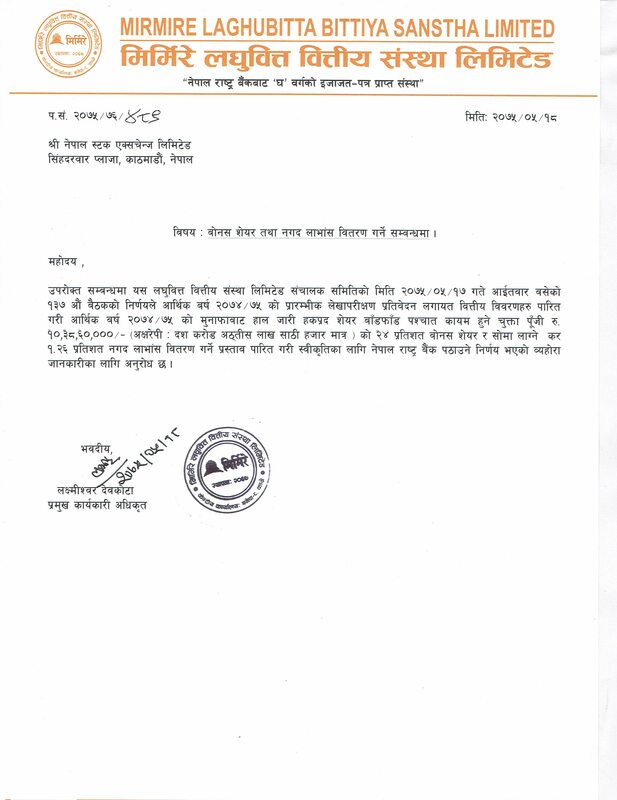 We have send the letter about the resignation of Board of Director of Mirmire Laghubitta Bittiya Sanstha Ltd.